Newry Mourne and Down District Council is gearing up to launch an activity-filled, public engagement project relating to the Ballykinlar History Hut, with a special launch event at Down County Museum between 11am and 4pm on Saturday 29 September. The ‘Ballykinlar History Hut’ Roadshow will be a great opportunity for families to explore history, with the chance to handle historic objects and artefacts, and hear their stories. Visitors will also have an opportunity to dress up and have their photograph taken using green-screen technology which will transport them back in time, creating a high quality souvenir photo to keep. As well as getting involved in craft activities, visitors will be able to see how cutting-edge 3D and virtual reality technologies are generated, and will be able to try out a 3D walk-through experience. 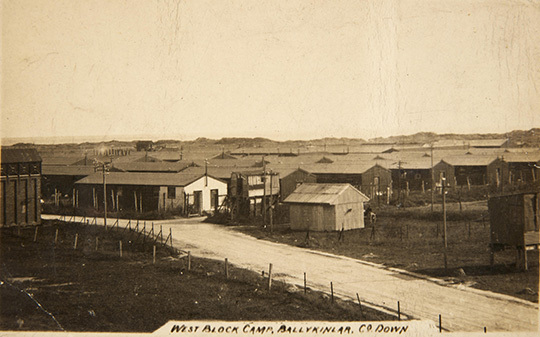 Ballykinlar Camp – West Wing. The project, which is supported by the European Union’s PEACE IV Programme, managed by the Special EU Programmes Body (SEUPB), will run from November 2018 to June 2019. The Centre for Data Digitisation and Analysis at Queen’s University has been appointed by the Council to involve the local community and record stories about individuals who occupied Ballykinlar Camp during the period 1899-1950. Their work will focus on the years 1914-21, which are now being commemorated as part of the Decade of Centenaries. In autumn 2019, a 60ft by 20ft Armstrong Hut will be recreated in every detail in the Museum. At the launch event, light refreshments will be served followed by talks about different aspects of the project for those who wish to learn more. Project coordinators will be on hand, asking for stories relating to soldiers, internees and refugees in particular, who are known to have been in the Camp in the first half of the 20th century, and hope to make new connections on the day. The coordinators will also be encouraging people to sign up to participate in a whole range of free activities and trips, which will take place between November 2018 and June 2019. These will include visits to Ballykinlar Camp, the Somme Centre, Cavan County Museum, the Curragh and Kilmainham Gaol. 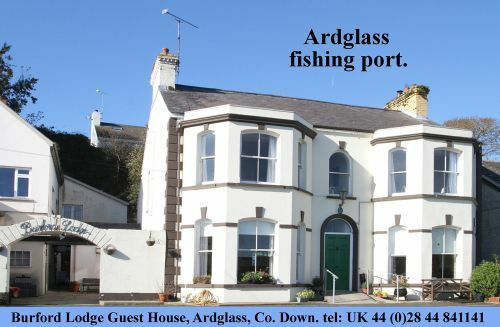 Match-funding for this project has been provided by The Executive Office in Northern Ireland and the Department for Rural and Community Development in Ireland.